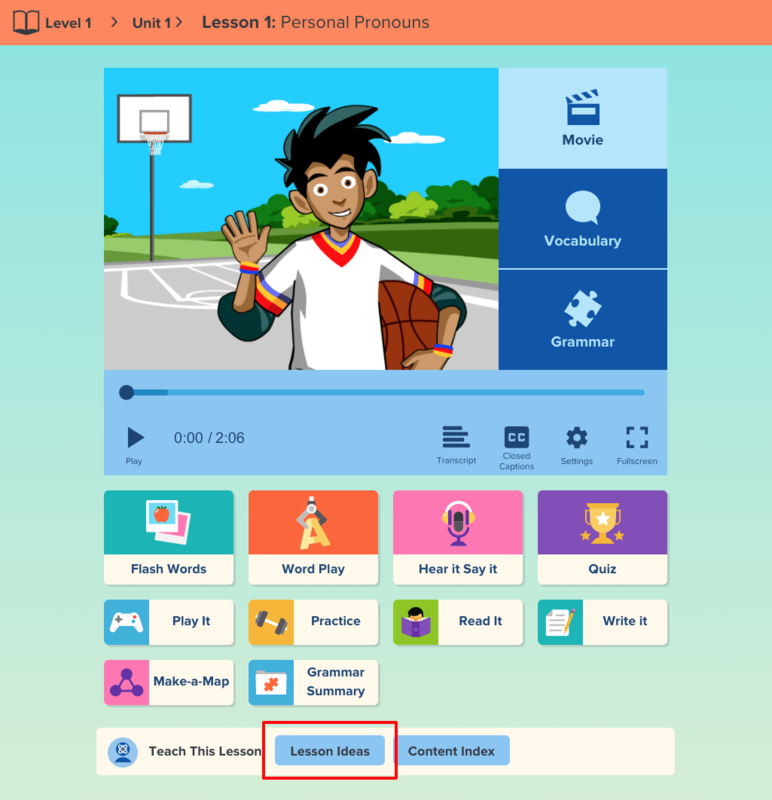 Lesson Ideas pages host a range of topic-related support resources including lesson plans, background information, implementation tips, graphic organizers, videos, customized quizzes, standard alignments, and more. 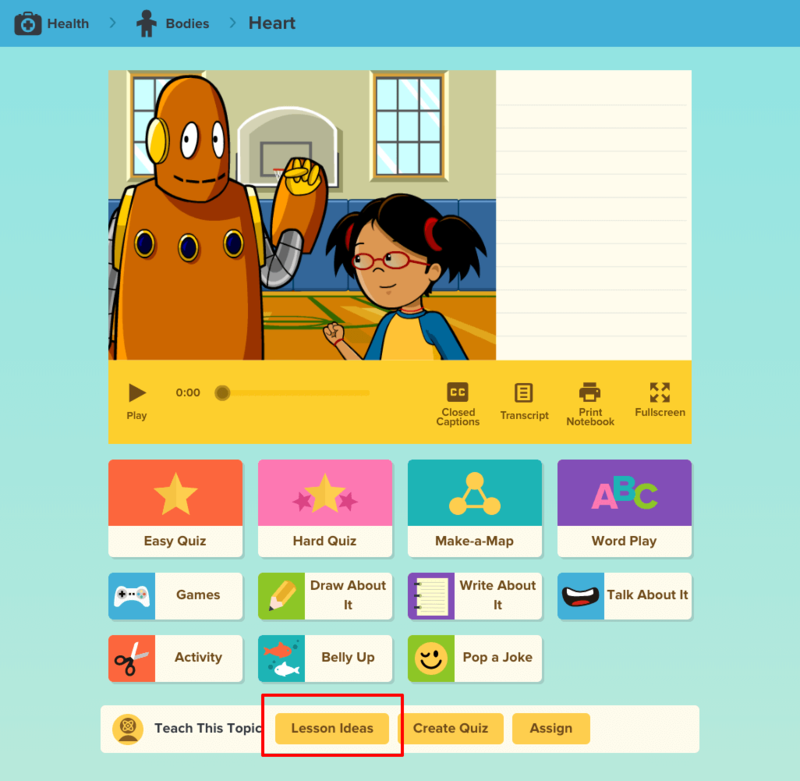 The detailed lesson plans provide scaffolded support and guidance on incorporating BrainPOP’s features and tools into the lesson. GameUp games are also supported by Lesson Ideas. 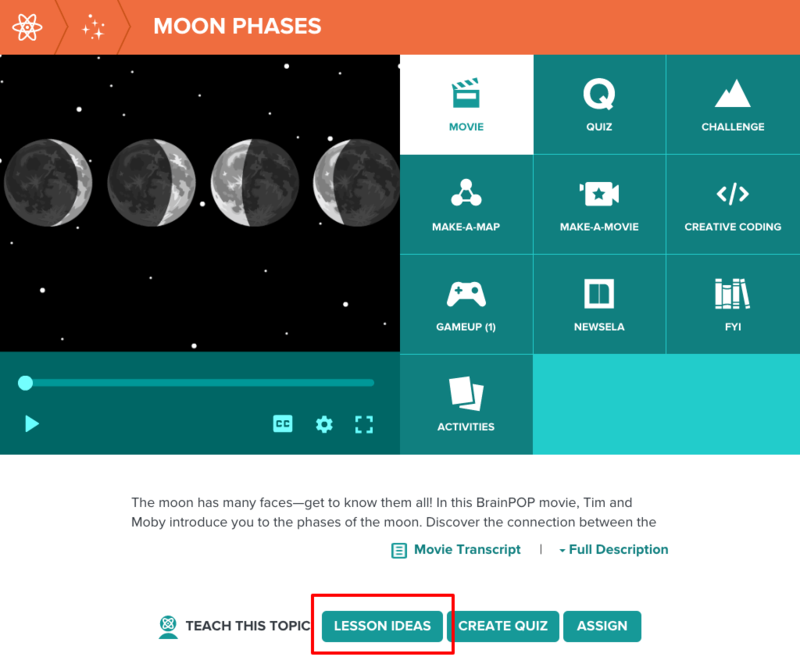 Each game has a section titled “Teach with this Game.” Choose the tab for Lesson Ideas. You can find it at the bottom of the screen for games on BrainPOP and BrainPOP ELL, and the top of the screen for games on BrainPOP Jr.